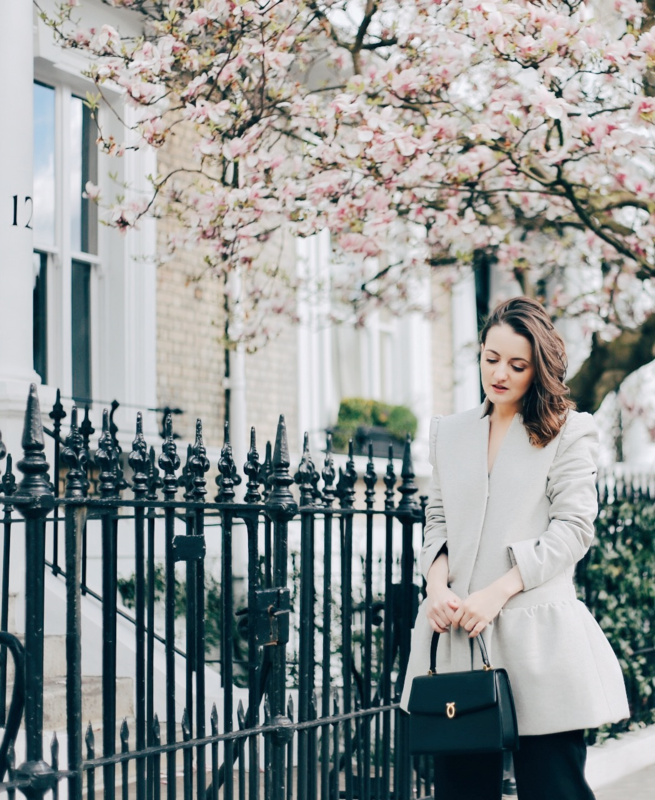 While those last-minute holiday plans looked tempting, this year I decided to put them on hold and enjoy the ultimate Easter break staycation at Jumeirah Carlton Tower instead. With an impossible-to-beat location in the heart of Knightsbridge, among the city’s finest luxury shopping, Jumeirah Carlton Tower is home to 216 rooms including 58 suites. Most have spectacular London views – from the London Eye to Big Ben and the Shard – the breathtaking views could be admired from both our bedroom and the sophisticated living area. Our suite had a giant King size bed and a slick, spacious bathroom completed with a separate walk-in shower and Molton Brown toiletries. The sitting area had a desk space, perfect for tackling those last-minute emails, a comfortable sofa bed and a dinning table, ideal for hosting a meeting or a dinner party. The dream! 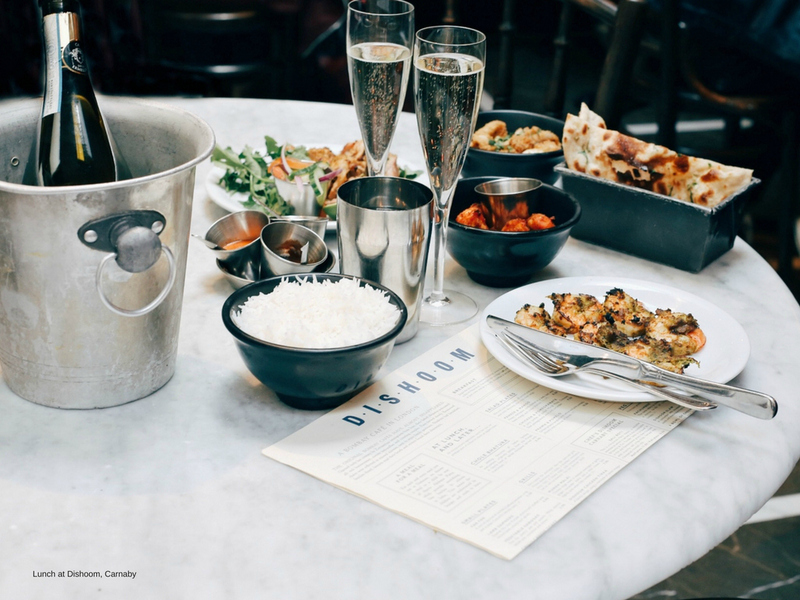 After checking in, my sister and I indulged ourselves in a few cocktails at The Rib Room Bar – I loved the Rambler and the King’s Bellini – before tucking into some scrumptious Indian cuisine at the buzzy restaurant Dishoom, in Carnaby. Beautifully presented, with a mixture of colour, flavour and texture, it was a veritable feast. 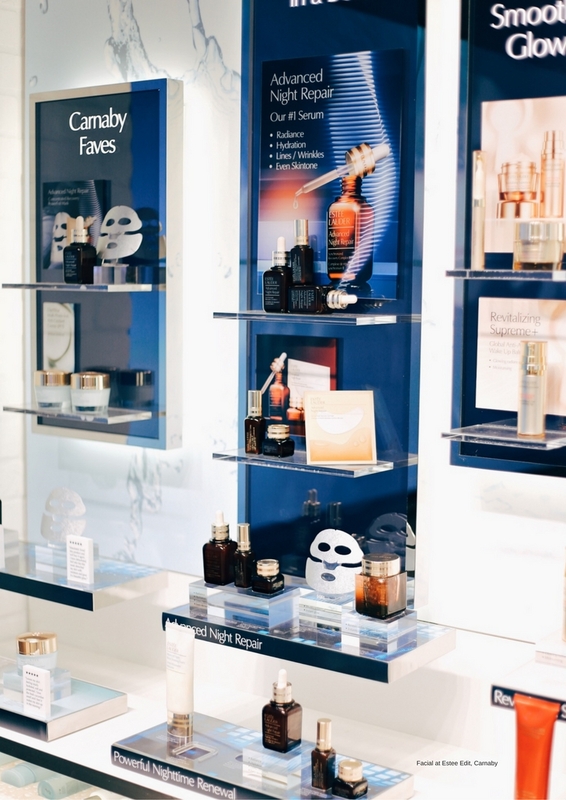 Not only is Carnaby a vibrant dinning destination, but is also home to a wide range of beauty stores, including UK’s first Estée Edit. We stopped by for a Power Nap Pamper and finally tried the Advanced Night Repair PowerFoil Mask. The 30-minutes session will revive your tired looking skin and the £35 you spend on the treatment is redeemable when purchasing. Plus, you get to take home the PowerFoil Mask too! The pamper continued in our suite at Jumeirah Carlton Tower with a mani-pedi treatment, followed by a relaxing hand and arm massage thanks to the amazing Le Salon app. 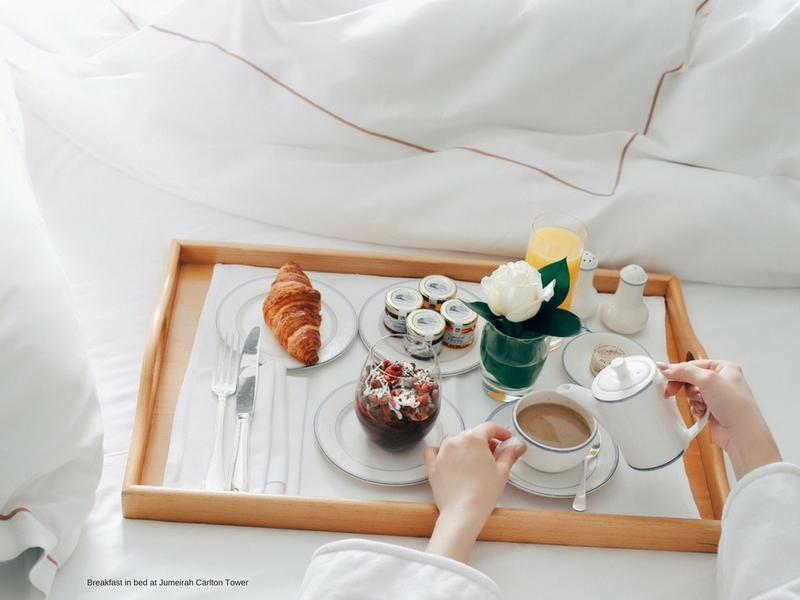 There’s something terribly luxurious about waking up to a tray of delicious breakfast to ease me into the day. Normally I’m in such a rush in the morning, grabbing only a quick bite, but when I’m staying in a hotel I love to tuck into those sumptuous breakfast buffets. Easter is the perfect time to put a ‘spring’ in your step and rediscover London’s captivating parks with your family. Jumeirah Carlton Tower is at a stone-thrown away from Hyde Park, so we decided to take advantage of the glorious London weather and enjoy a stroll around the park before heading down for dinner at The Game Bird. We were immersed in a captivating wine cellar tour, built in the 17th century by Lord Francis Godolphin, and used as an air-raid shelter in World War II. 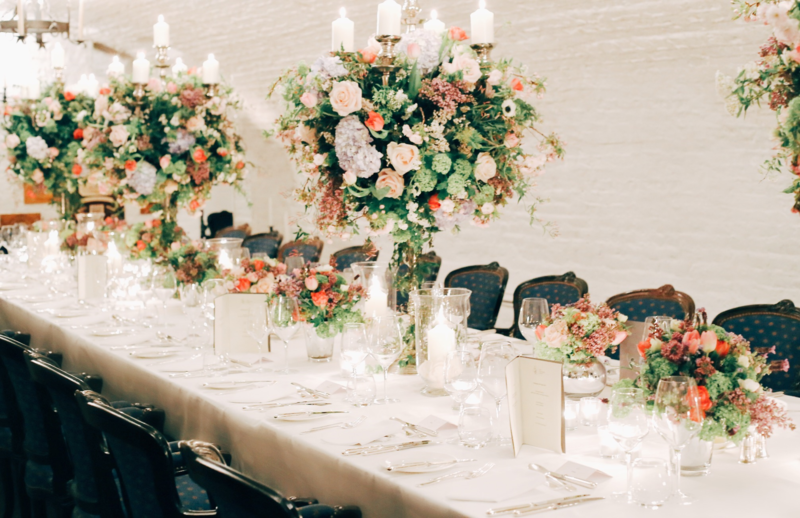 A truly spectacular space, home to up to 8,000 bottles of the finest wines, and host throughout the year to private events and wine tasting session. 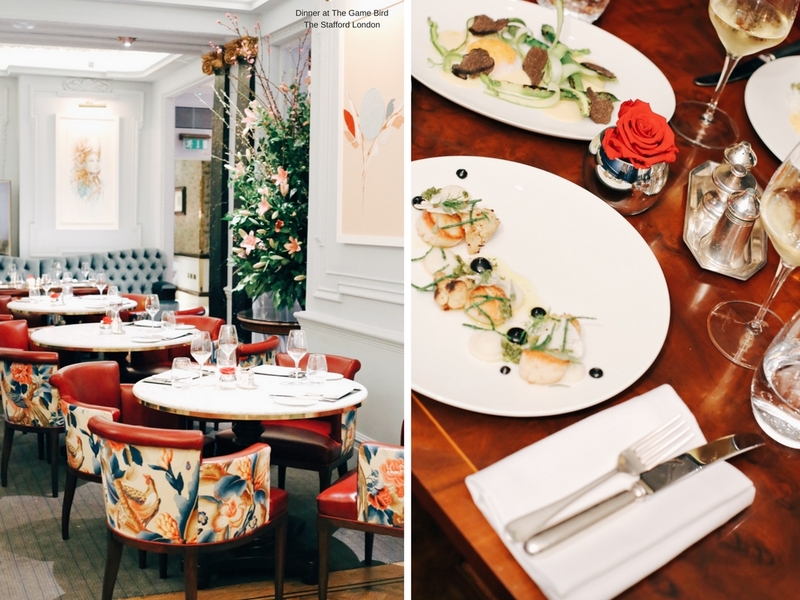 The decor at The Game Bird is elegantly contemporary, and the food varied and delicious, ranging from lavish Lincolnshire Smoked Eel – served from the trolley for double the luxury, to British classics like fish and chips. Other highlights include the Orkney Sea Scallops, the Thornback Ray and the basil sorbet. 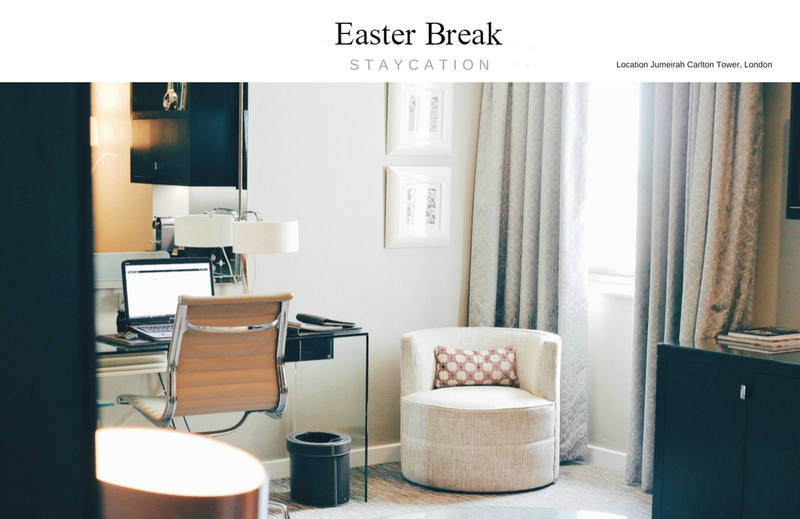 If you’re thinking of a London staycation on the Easter holiday, there’s no end of great activities which will delight kids and adults alike. And all at just a short tube ride from home. Happy Easter everyone!